Turkey berries & Methi leaves has immense health benefits & flavor. Both of them are widely used for those who are suffering from diabetes and kidney related problems. 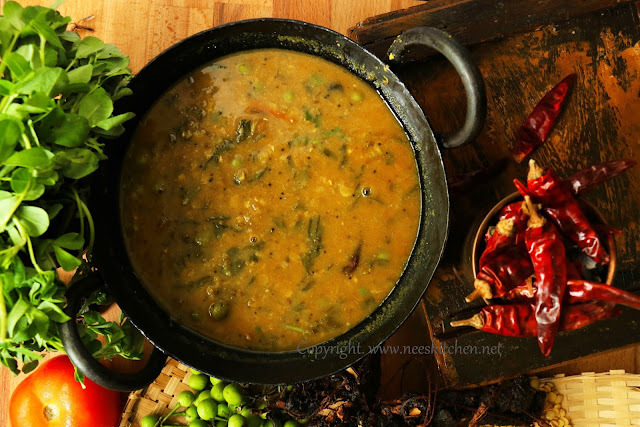 Combining them and cooking in a clay pot with turmeric, sambar powder, coriander powder and other spices from your kitchen gives this drool worthy "Sundaikkai & Methi Leaves Sambar"
Whenever I get a chance to visit buffalo street in Little India, Singapore I just remember Mylapore market in Chennai. I really don’t miss my hometown when I come here and I will get almost all of the vegetables & fruits here. I also don’t miss my ghee roast :) and coffee in Komala Vilas which is there in the same street. Getting back to the recipe, to get the perfect juice and flavor of turkey berry you must slit them into two else the taste differs. 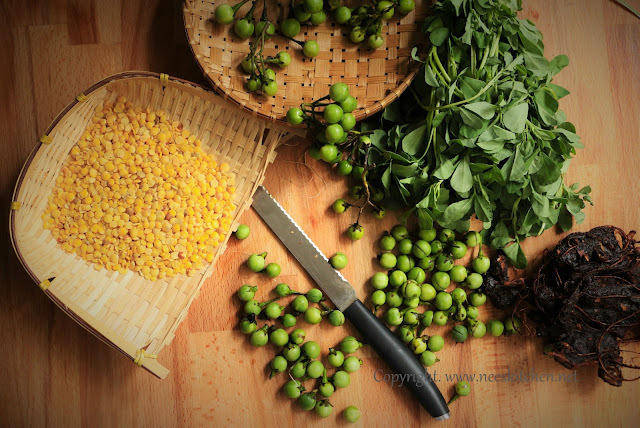 For methi on the other hand we use only the leaves as the stems does not get cooked and consuming them is quite difficult. 1. Slit the sundaikkai after removing the stem. Do not cut them into two. 2. Wash the methi’s. Soak the tamarind in water and dilute it. 3. Take a claypot (or any normal cooking pan) add oil and hing cake. Let the hing cake get cooked. 4. Add mustard,cumin seeds and redchili. 5. Add the sundaikai’s and let it fry for atleast 3 – 4 minutes. 8. 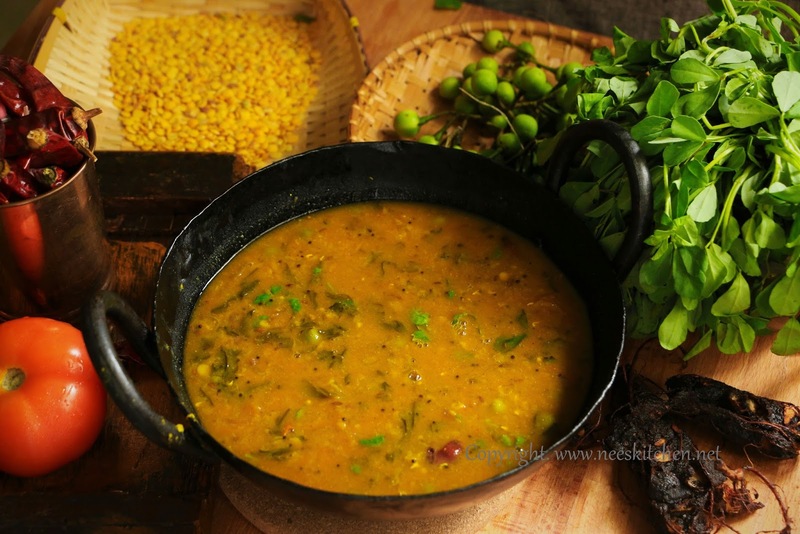 Once both of them are fried add tomatoes, turmeric, sambar powder, coriander powder, salt and mix well. Let it fry for a minute. 9. Add tamarind juice, curry leaves and remaining water and let it get boiled. 10. 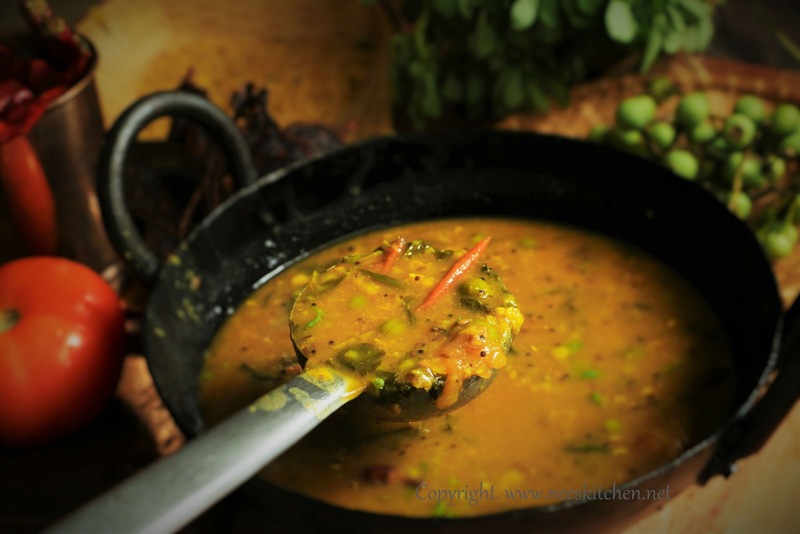 Allow it to boil for around 8 – 10 minutes so that the raw smell of tamarind is cooked well. 11. Add cooked dhal and stir well. 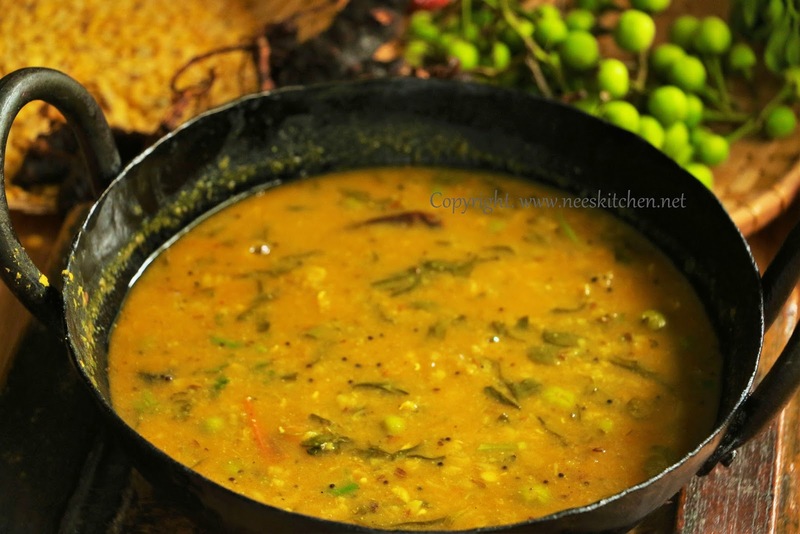 Cook until the sambar thickens. All the turkey berries must be slit else you cannot enjoy its actual taste and flavor.